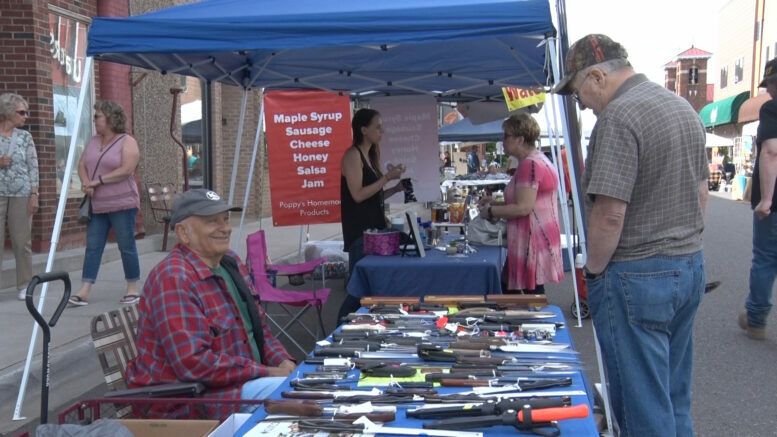 ISHPEMING– Vendors and locals gathered in downtown Ishpeming Monday for the Festival of Treasures. Members of the community went down to Hematite Drive for local art and food. The downtown area is closed off for vendors ranging from hand crafted jewelry, food, locally made art, and much more. One mother and daughter shared with us their favorite part of the festival. “Getting the elephant ears,” on-goer Angelica Barry said. Lindholm said the family event gives her an opportunity to sell her products nearby her daughter-in-laws store. Other activities included face painting and a pony ride. The festival’s wide variety has something for everyone.